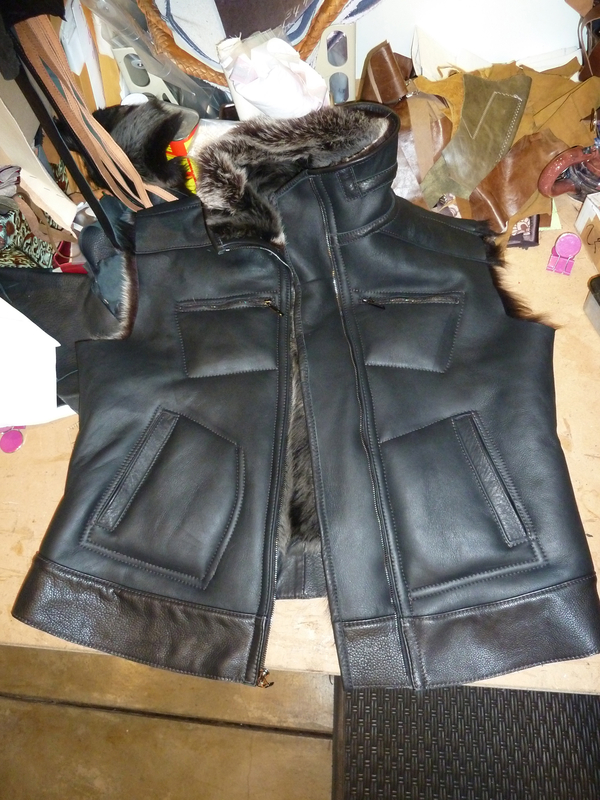 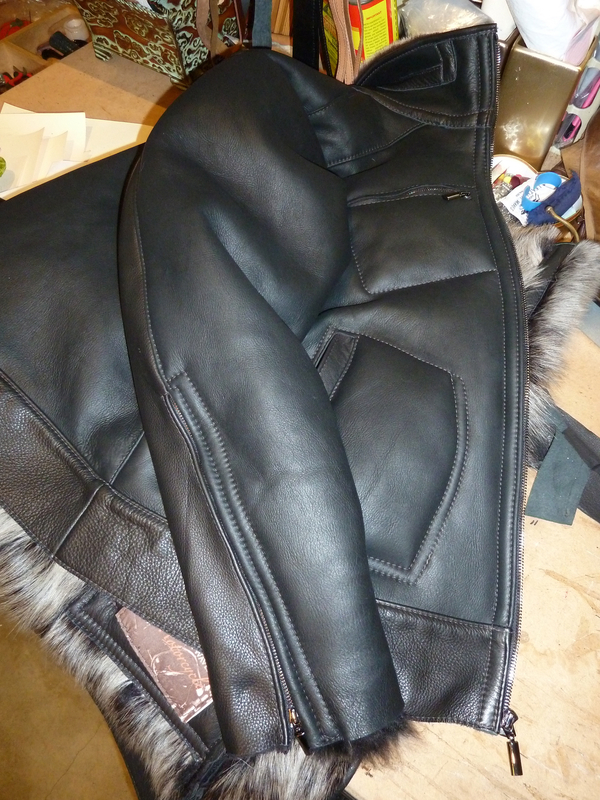 Moving on with this Shearling Jacket with it’s long-haired silver tipped luxurious fur…You can see now that all four of the pockets are finished, the two lower ones with one side in fur, this will feel really nice on the hands. 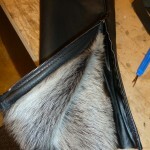 The upper pockets have those matching black metal zippers and add detail and interest to the design as well as serving as secure small places to keep important things. 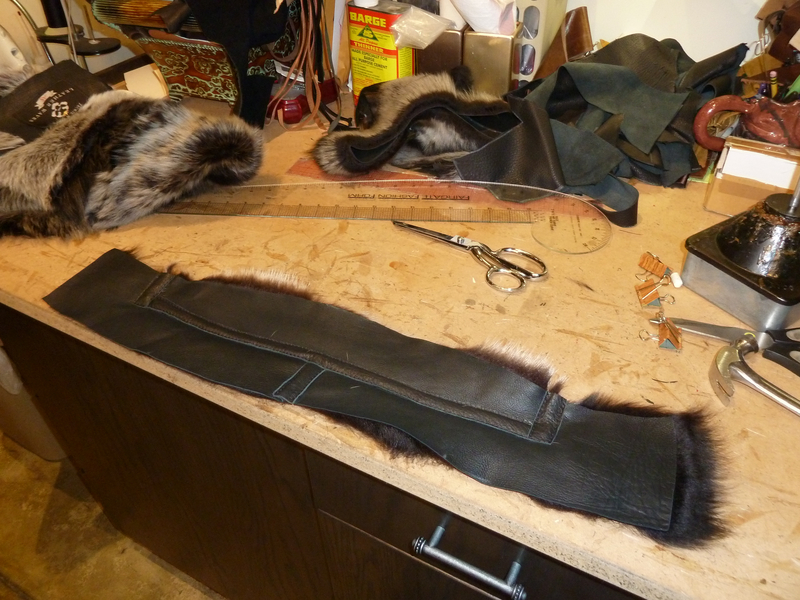 I constructed the collar next which was to be a stand up, it’s so nice to have a fur jacket where the collar can be made to cover and hug the neck loosly. 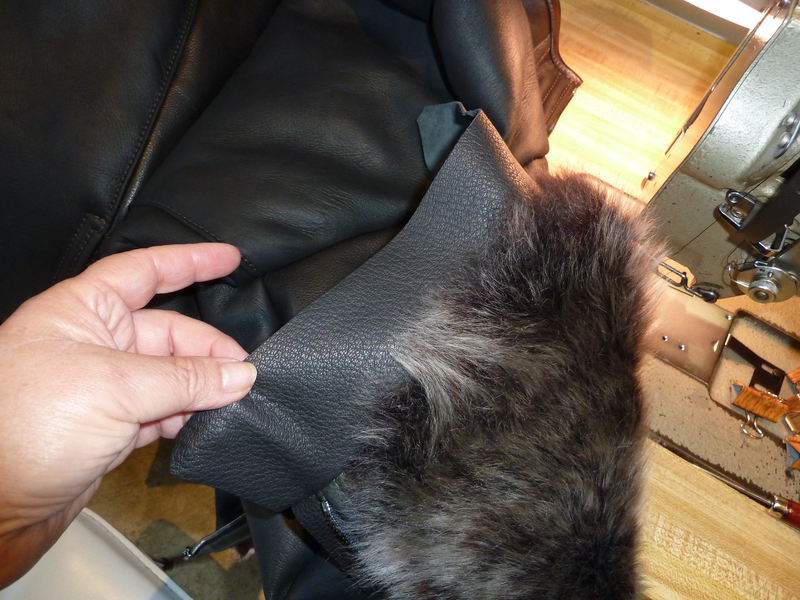 I attach the collar and set the zipper. 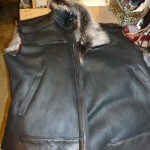 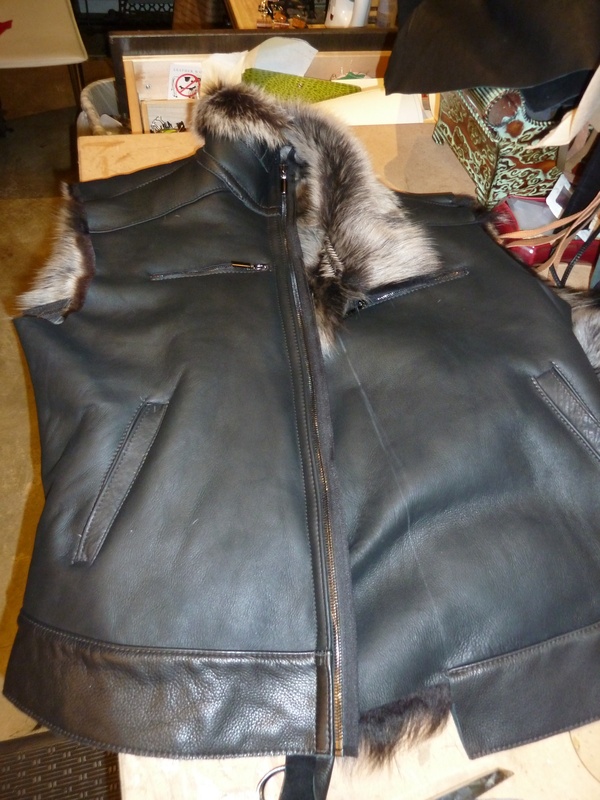 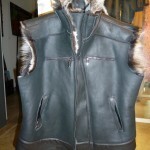 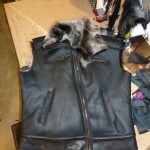 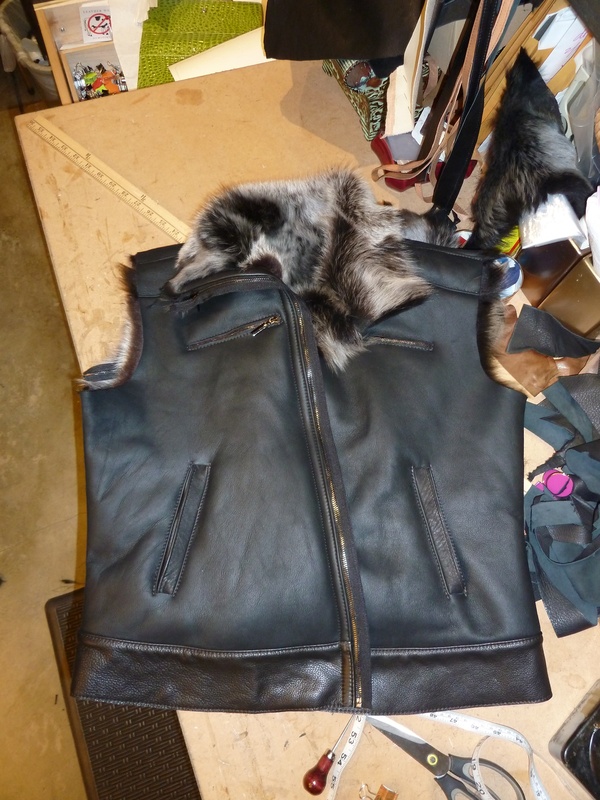 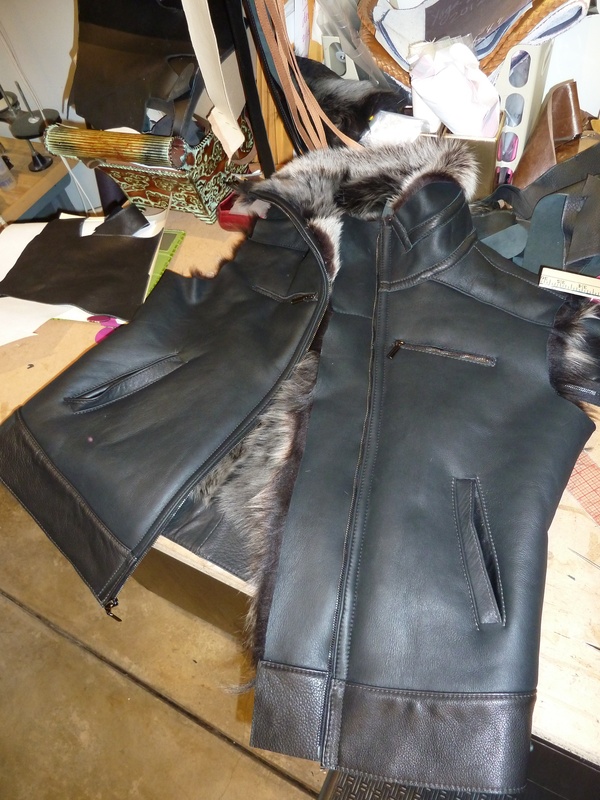 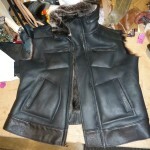 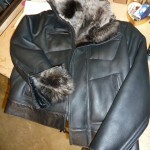 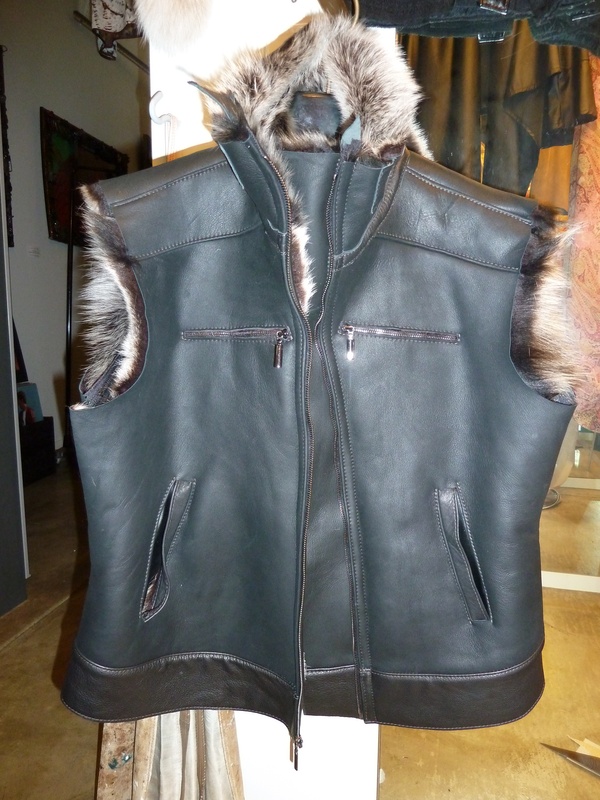 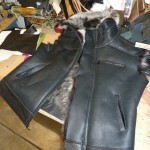 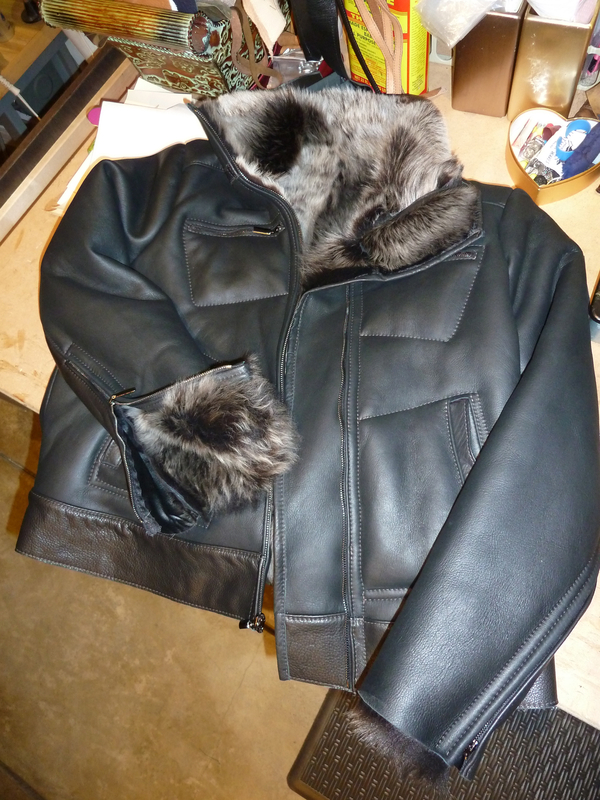 The collar can now be zipped all the way up around the neck or left open so that the fur shows. 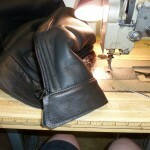 This includes a placket behind the zipper so no air can circulate inside once it is zipped shut. 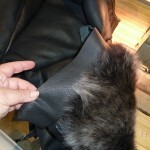 Again leather binded edges and a bit of trimming, “hair-cut” to make all the fur even. 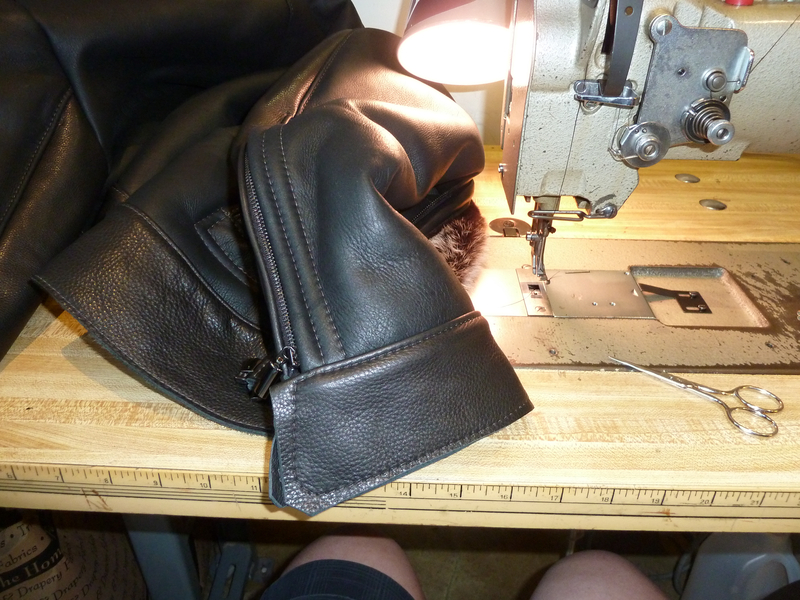 Now the body of the jacket is finished and I move on to the sleeves. 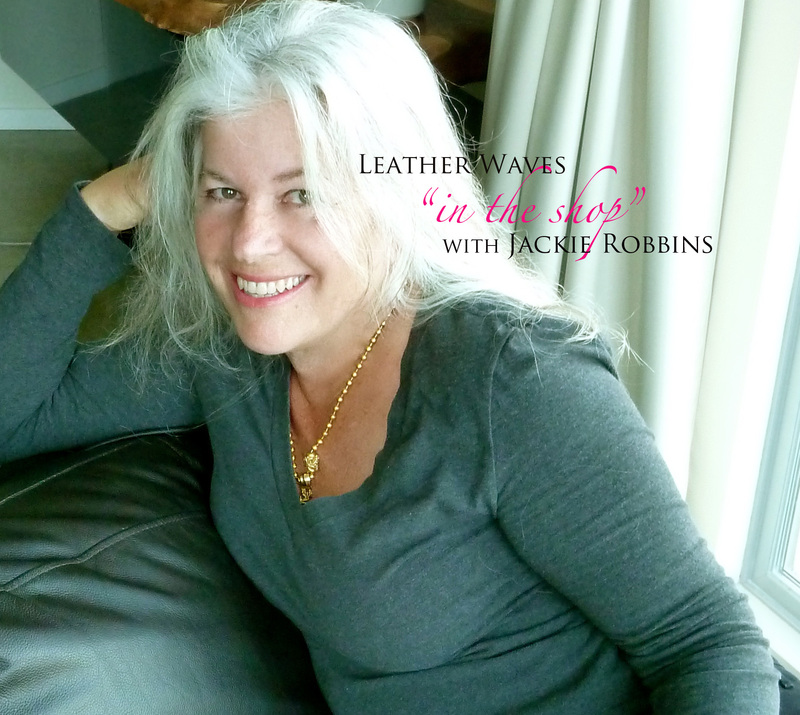 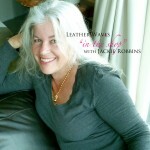 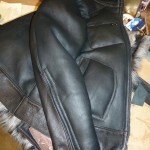 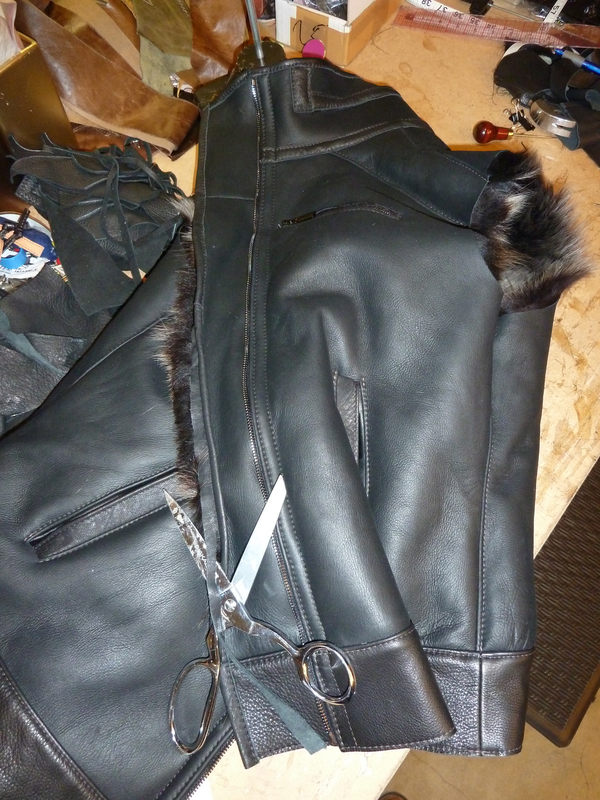 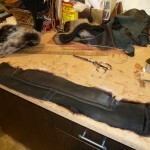 I will make them extra long so that they cover the hand when zipped with the leather cuff snapped. 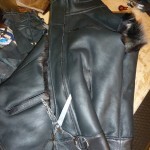 but because of the elbow length zippers the sleeve can be worn open too. 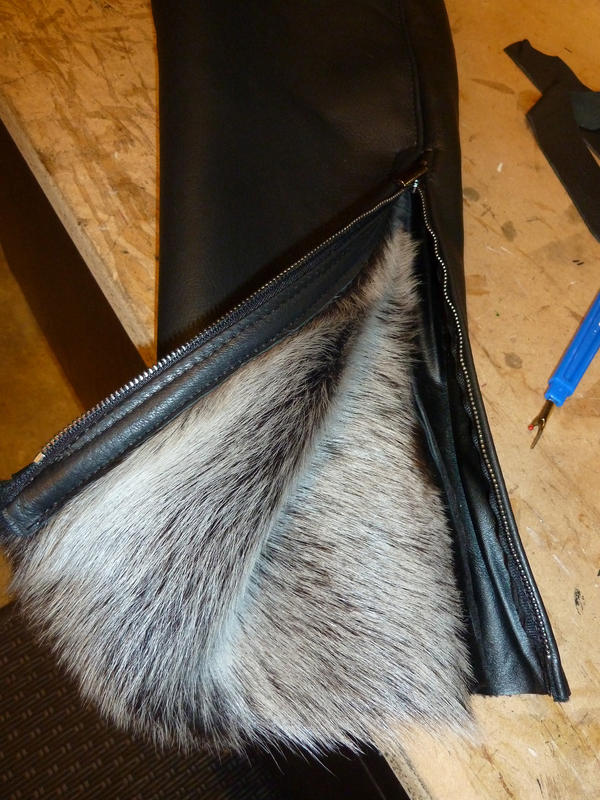 Almost done, you’ll see pictures of the finished piece in the next episode!